One of the most prominent Nepali writers, Manjushree Thapa is an established writer in English in the field of Nepali literature. Born in Kathmandu in 1968, Thapa grew up in Nepal, Canada and the USA. This new generation writer studied in St. Mary’s School (Kathmandu), the National Cathedral School (Washington DC) and she majored in photography in the Rhode Island School of Design. She has an M.F.A. in creative writing from the University of Washington which she attended on a Fulbright scholarship. Her writing career began when she started writing after completing her BFA in photography at the Rhode Island School of Design. 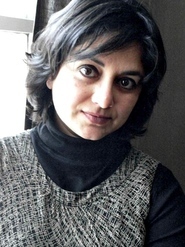 Her first book was Mustang Bhot in Fragments, a travelogue published in 1992. She had begun a book The Tutor of History as her MFA thesis in the creative writing program at the University of Washington which she published in 2001. This first major novel in English from Nepali literature portrays a society in change which is ultimately a story of idealism, alienation and love. Forget Kathmandu: An Elegy for Democracy is known as her best book which she published on 1 February 2005, just weeks before the royal coup in Nepal. The book examines the past and present conditions of Nepal and is considered as one of the finest works of non-fiction from the subcontinent in recent times. In 2006, the book was shortlisted for the Lettre Ulysses Award. She left the country to write against the coup after the publication of the book. Her short story collection Tilled Earth was published in 2007. ‘A Boy from Siklis: The Life and Times of Chandra Gurung’ is a biography of the Nepali environmentalist Chandra Gurung by her which she published in 2009. She published a novel ‘Seasons of Flight’ in 2010 and in 2011, her non-fiction collection, ‘The Lives We Have Lost: Essays and Opinion on Nepal’ was published. She has also served as an op-ed contributor to the New York Times. She was a writer-in-residence at Berton House in Dawson City in Yukon in fall and winter of 2011. Her short stories have been published in the Bellingham Review, Artful Dodge, Tampa Review, Himal South Asian and elsewhere as well. She lives in Kathmandu and helps to manage Martin Chautari, a center for public interest and advocacy. She also writes regularly in The Nepali Times and translates Nepali literature into English. 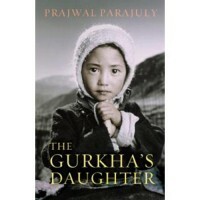 She has also translated and published a book of Nepali writer Ramesh Vikal, A Leaf in a Begging Bowl. There are five works by this prominent Nepali writer in the Library of Congress.